What to Do About Loose Pavers? Pavers are so beautiful to start. They have a polished, regal look that indicated class and distinction. Like so many things, time gets by and, if you don’t do the proper maintenance, they become loose or bulge in certain places. Or water begins to pool after a hard rain. Before you know it, you are tripping over your once beautiful paver, falling to the ground, and spilling coffee all over your blouse. You may feel a lot different about your pavers in that moment, but it doesn’t have to be this way. There’s a process you can use to restore those pavers to their previous glory. 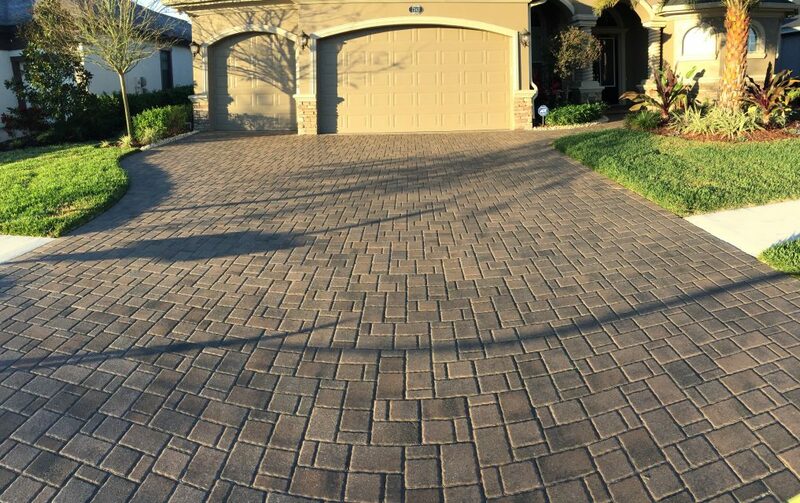 The best move you can make is to contact Pressure Points as we are the leader in paver restoration in Lutz, FL. However, if you are a DIY’er, here are a few steps that will help restore those unsightly and dangerous loose pavers. Pavers become loose for a number of reasons over time, including general wear and tear, poor weather, and improper installation. The first step to fixing the problem is by taking the paver out. Keep in mind that, even though it’s loose, it may still be difficult to remove. In this case, simply pry it out with a screwdriver. Pavers have to fit tightly in order to stay in place. Adding sand will reduce the space and provide a better fit for the paver. Once sand has been added, it will need to be leveled to provide a smooth surface for the paver to rest in. A level can prove vital in this process. Once you have a solid, smooth base of sand for which the paver can sit, it’s time to place it back in its original spot. It’s important to make sure that the paver fits in tightly this time. A rubber mallet can be used to get it further set into place. Even though you have the paver in place, it doesn’t hurt to add a little more sand to fill in the gaps. The pavers can be tapped again with a mallet and the excess sand should be swept away.